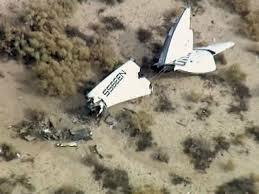 Like many people, I was was saddened to hear about the crash of Virgin Galactic’s Space Ship Two on a test flight yesterday, which resulted in the death of one of the pilots and the serious injury of the other. It is far too soon to say what caused the crash. That will have to wait until the official investigation. Richard Branson has vowed to carry on with the Virgin Galactic programme but I think it is likely to delay their first commercial flight by several years. Looking at the wider picture it is too early to say what effect this will have on the space tourism industry as a whole, which is still very much in its infancy. If you want to know more about Virgin Galactic then please click here to view my earlier post from 5 August 2014. Next Post Space the Final Frontier- but where does it begin?